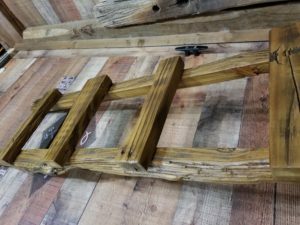 You are here: Home » Antique Ladder Made with Iowa Reclaimed Barn Wood from the 1940’s – one of a kind decoration accent piece! One of a kind decoration piece makes a statement right when you see it. 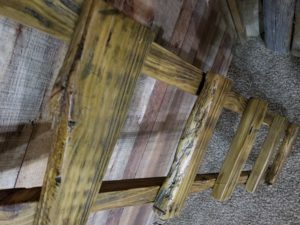 The reclaimed ladder has beautiful textures to it cause by mother nature over many years. The rustic ladder serves as a bathroom furniture piece which can hold towels, blankets, quilts… or it can be a great accent piece in a larger room leaning on a wall. 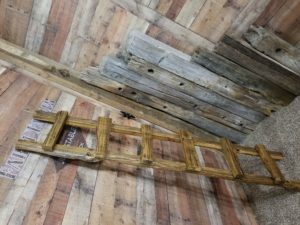 You can still see the original nail holes where the barn planks were put together. 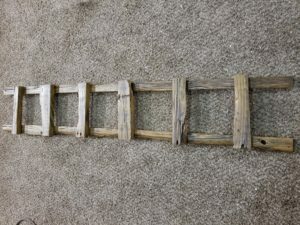 This ladder is 6ft tall and 13″ wide. It’s coated with clear natural low sheen varnish. This is new for us but it has been requested several times over to have some made, so here they are. The ladder fits right in with everything else we have. 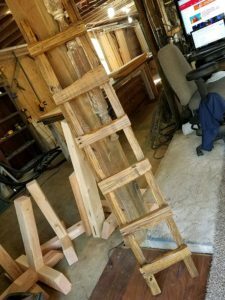 This rustic piece gets a new home tomorrow. 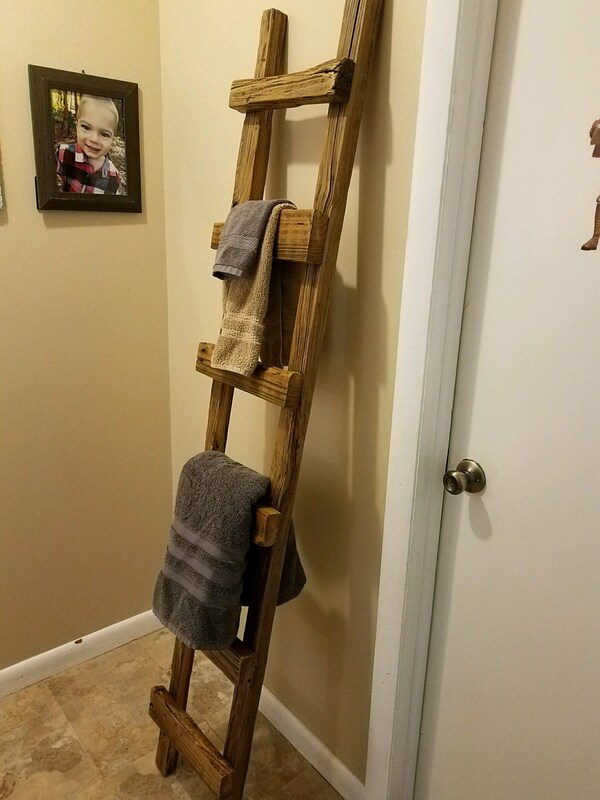 It’s strong enough to use as an actual ladder if needed. Different sizes of these can be made. No fasteners or hardware is ever visible..keeping it looking as natural as possible.